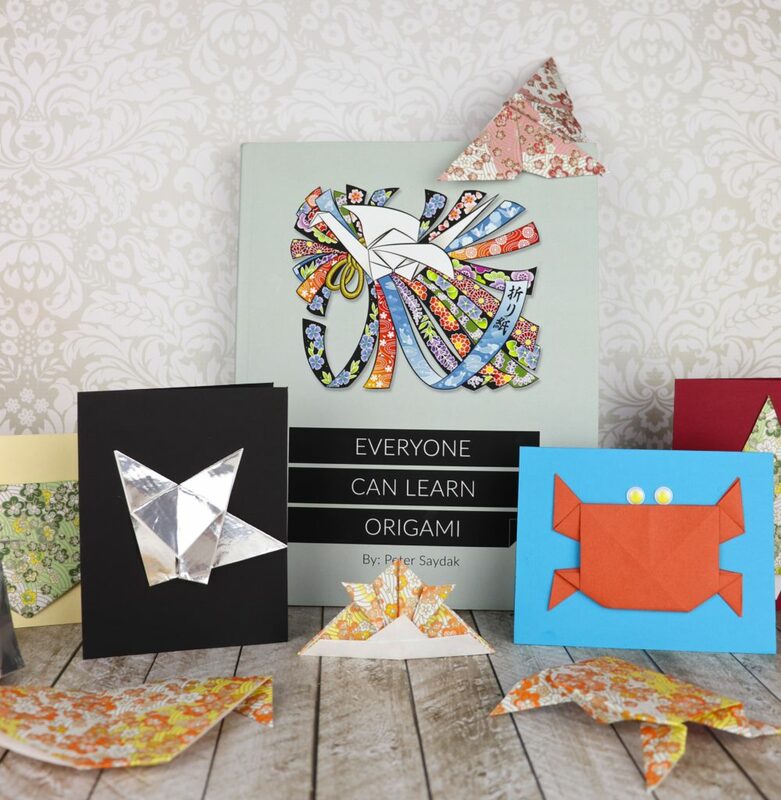 Make origami cards quickly and easily! This is a sponsored post. Origami helped me connect with a woman I was sharing a home with but with whom I couldn’t communicate. Folding paper helped us pass the time in a frigid apartment. You don’t need words to craft. You only need paper and a bit of patience. When my husband and I moved to Okinawa, Japan, we were in the process of adopting. The move abroad forced me to leave a wonderful job as an assistant principal in Houston, and I was not used to having so much free time on my hands. We were expecting/hoping to learn that we were to finally become parents any day, so I hesitated to look for a job. I filled my days by exploring the island and taking classes on base. I enjoyed learning about the new culture I was immersed in, and I took a few Japanese paper crafting classes. I learned a few basic origami folds, and I enjoyed it enough to start buying some paper packs at the local 100 Yen store (like a dollar store but so much bigger!) The origami packs were themed by project. While the instructions were in Japanese, they included lots of drawings so I could follow along. 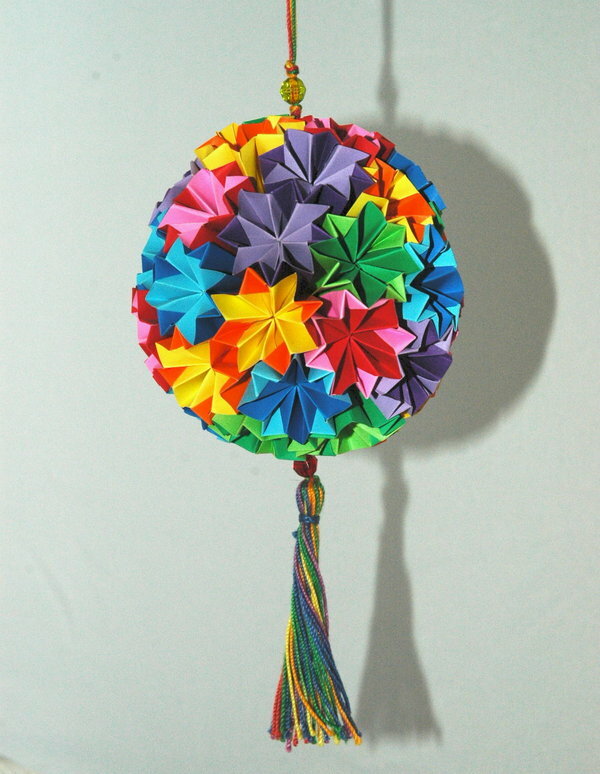 I picked up a pack that taught a flower fold which when glued together made a large “orb”. It was very similar to this. I was hooked. I kept making these. I enjoyed the repetition. It was calming and almost meditative. When we finally got the call that we had a son, I packed several origami paper packs to take with me. As we settled into our stay in Tbilisi, the Republic of Georgia, we spent many hours in a cold, unheated apartment. Our hostess was a lovely lady named Helena. She cooked for us and kept the home clean. She spoke no English and we spoke no Georgian. So one night I decided to bridge the language barrier with crafting. I showed her the origami balls I was making. She was a quick student and learned the folds quickly. We made our first ball together, and she was delighted. We went on to make many more during our stay, working quietly side by side, smiling and nodding at each other. It is one of the many memories of my time in Georgia that I cherish. So when Peter Saydak from origami.me invited me to check out his book Everyone Can Learn Origami, I jumped at the chance. I haven’t really tried origami since we left Japan over a decade ago. I was eager to try again. 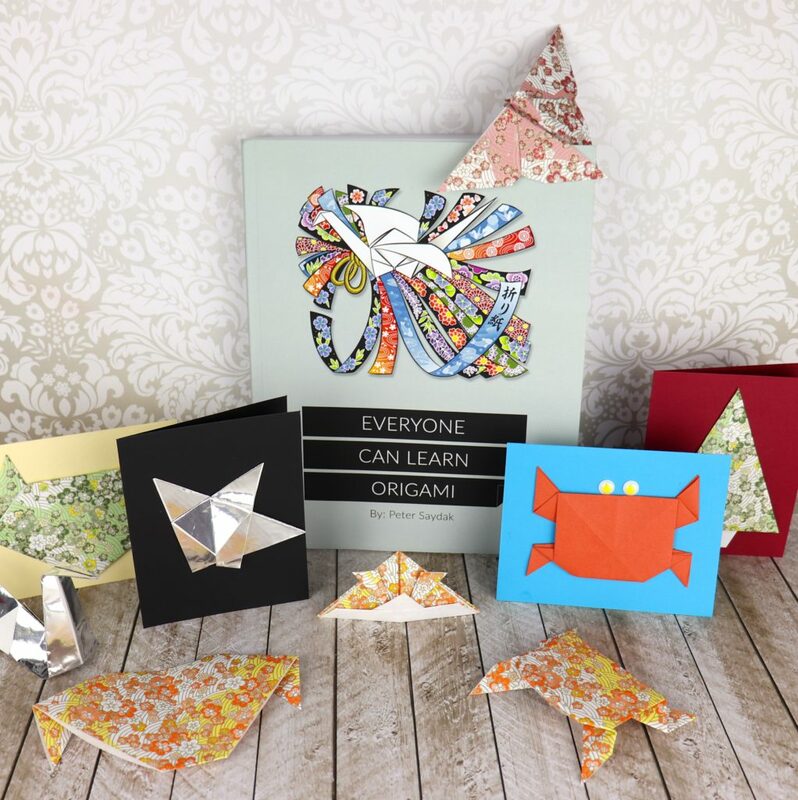 Peter’s book is geared towards origami beginners, and it is perfect for newbies. The book starts with explanations of the basic folds, then goes into the projects. Each project has multiple easy to follow instructions. In fact, there’s one image per step. It kind of reminds me of LEGO instructions. Every single step has a clearly illustrated and labeled drawing to explain it. It is the easiest to understand origami instructions that I have ever read. I started with the simpler folds then skipped ahead to a few slightly more challenging designs. It was hard for me to stop. There is something so calming about folding paper! You kind of get into a rhythm and you just want to keep making things. I honestly am looking forward to trying all the projects in this book! I decided to use my origami pieces to make some fun origami cards. Aren’t they cute? 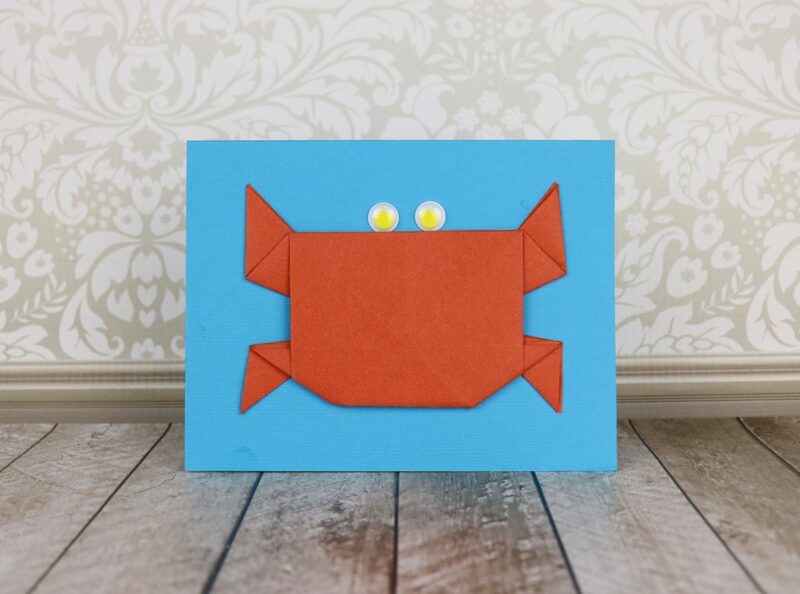 Check out my video tutorial to get a peek inside the book, as well get a glimpse at how to make the crab origami and turn them into cute origami cards. I’m looking forward to creating new origami memories, this time with my kids, thanks to Everyone Can Learn Origami.